Author: Schwartz, Stephen Set In . . . Description: Since its formation in 1932, Saudi Arabia has been ruled by two interdependent families. The Al Sa’uds control politics and the descendants of Ibn Abd al-Wahhab impose Wahhabism—a violent, fanatical perversion of the pluralistic Islam practiced by most Muslims. 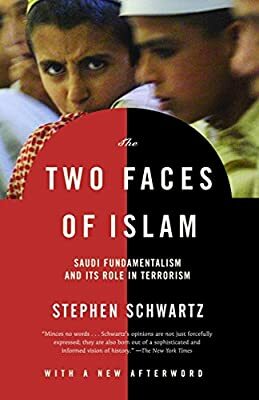 Stephen Schwartz argues that Wahhabism, vigorously exported with the help of Saudi oil money, is what incites Palestinian suicide bombers, Osama bin Laden, and other Islamic terrorists throughout the world. Schwartz reveals the hypocrisy of the Saudi regime, whose moderate facade conceals state-sponsored repression and terrorism. He also raises troubling questions about Wahhabi infiltration of America’s Islamic community and about U.S. oil companies sanitizing Saudi Arabia’s image for the West. This sharp analysis and eye-opening expose illuminates the background to the September 11th terrorist attacks and offers new approaches for U.S. policy toward its closest ally in the Middle East.